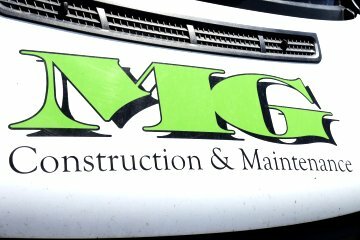 MG Construction and Maintenance have been a family owned and run company for over 20 years. We provide all your building and renovation requirements by having fully qualified tradesmen under one roof. All of our Building Services are personally supervised by owner and managing director Mark Green, so we will always give a professional and reliable service. From our site in Worksop we are able to provide our services to almost anywhere in the UK and currently have projects ongoing in Nottinghamshire, Derbyshire, Leicestershire, Lincolnshire and Yorkshire as well as local projects around Worksop, Killamarsh, Bolsover, Barlborough, Clowne and Sheffield. We also run a Skip Hire company, we can clear everything away when the job is finished. We are certified by CHAS, Constructionline, Safecontractor and are a Part P Elecsa Approved Contractor. We pride ourselves in being large enough to compete, but small enough to care. For a FREE, no obligation quote or to discuss your project in more detail please give us a call at the number above or contact us here.